You can’t have a country garden without spring bulbs. Early flowering bulbs make my heart sing. 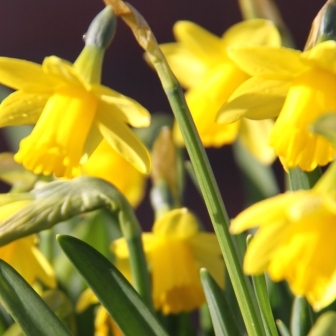 In autumn I planted lots more daffodils and tulips. I chose them carefully to spread the flowering time throughout spring. They are just beginning to poke their noses through the earth but it will be a few weeks until the earliest of them begin flower. 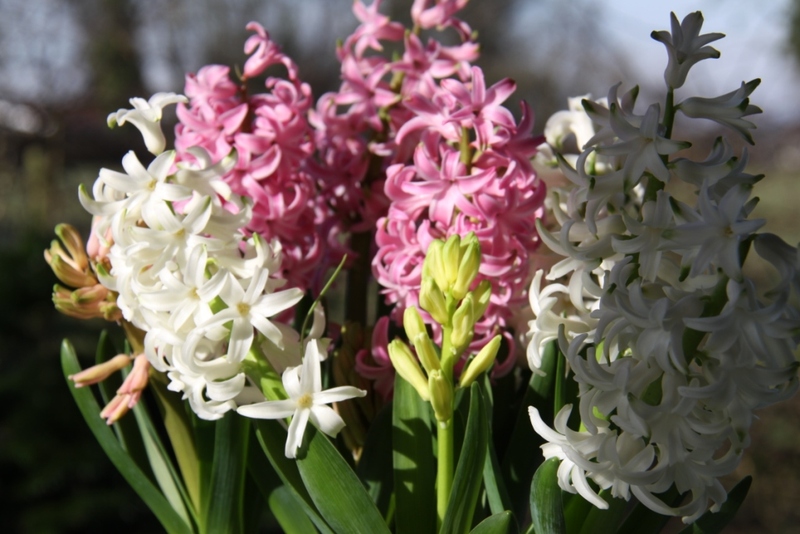 In the meantime there are snowdrops and hyacinths to enjoy. 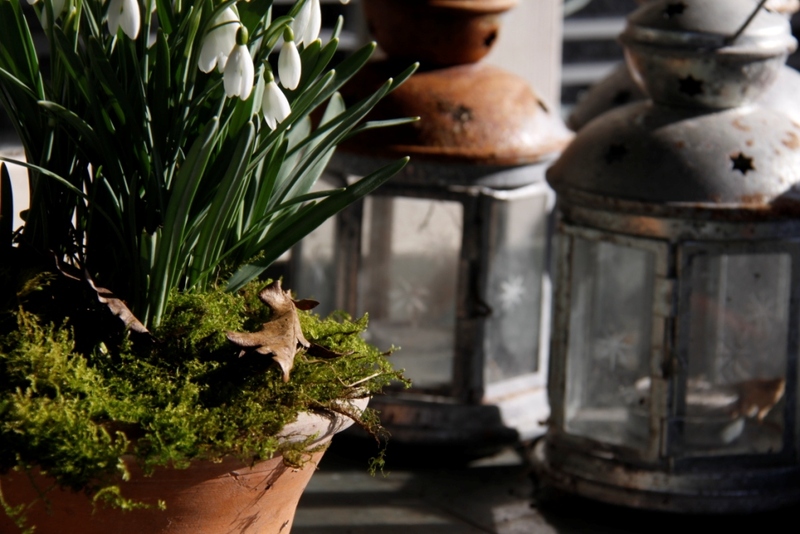 Pots are brilliant for spring bulbs. You can easily move them to a good spot where you can see them every day and then whip them out of sight when they have finished flowering. The mellow shades of terracotta pots blend easily into a country garden but really any shallow pot will do nicely for small bulbs. Don’t worry if you missed the window for planting bulbs last year…You can buy small pots of bulbs ready to flower from nurseries, garden centres and even high street stores such as Marks & Spencer for just a couple of pounds.